One of the most common reasons why people choose to elope is so that they can have a wedding experience that is private and all about them and their relationship (and sometimes their closest loved ones). We strive to give our couples that experience of being completely surrounded by nature and not surrounded by strangers. Okay, hear us out. We know no one likes waking up early, and if you are an early riser, please teach the rest of us your ways! BUT we believe that your wedding day is the perfect day to go out of you comfort zone (ahem your bed) and go experience your elopement location in a unique way. We’ve come up with THREE reasons why you should consider eloping at sunrise. Most people don’t want to get up before sunrise, so it is very possible that you will have your elopement location all to yourselves. There is nothing more magical than the silence and calmness of being the only people for miles. Maybe you’re in love with a hike or a location that is highly trafficked during the day, and you can’t get it out of you head, but you don’t want to be surrounded by other people… Sunrise has got your back. 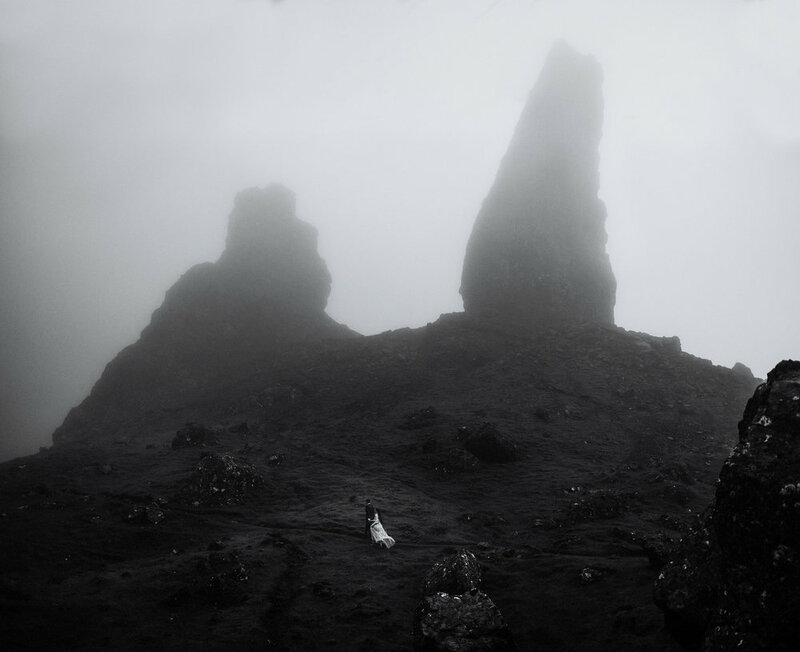 For example, we hiked one of Isle of Skye’s most popular hikes with Laura and Darren at sunrise. We started the hike in the dark and the sun slowly peeked through the fog and clouds. There were no other people around, just sheep. We were able to explore the area, and focus on Laura + Darren’s relationship and their adventurous experience. As we hiked down a couple hours later, other hikers were just beginning their trek to the top. If the crowds don’t convince you, then do if for the light! We all know how beautiful the light during sunset is. Well sunrise is just as gorgeous! We love to start just before sunrise, when everything is cast in a soft blue. Then as the sun rises over the horizon, on a clear or even a partly cloudy day, everything is illuminated with golden light. And even on a foggy morning, sunrise light is dreamy. If you choose to get married in the heat of summer, sunrise can offer you a much needed escape from the heat. For locations such as Moab, Joshua Tree, or Sedona, the afternoon sun can be brutal. Sunrise allows you to hike and explore your chosen location before the heat of day and keep you from getting sweaty and sunburned. Sunrise also offers benefits for those of you eloping in mountainous regions, like Colorado, that are known for having afternoon thunderstorms. By having your elopement ceremony in the early morning, you can beat the dangerous storms and not spend your precious time waiting out the storm in your car. The day of the week you choose for your elopement can greatly affect the number of people that will also be around. We always suggest weekday elopements to our couples so that they can take advantage of the days when most people will be at work. 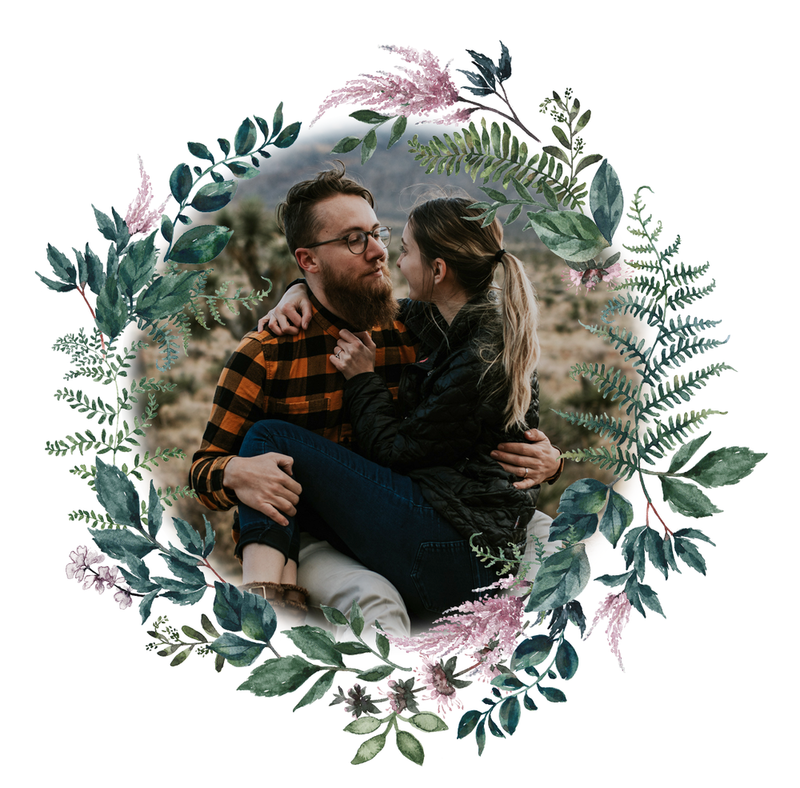 Another benefit of having a weekday elopement, is that you will have less competition for getting your permit for the ceremony site you want most. Similarly to getting married on a weekday, it is also a good idea to avoid getting married around long, holiday weekends or during Spring Break. This is when a lot of people head into nature or to National Parks to hike and explore. The days surrounding these holiday weekends can not only be busy, but also more expensive (flights, accommodation, rental cars). Another great way to avoid crowds is to go where most people aren’t going. This could be as simple as driving a little bit further than most people will drive. Or renting a 4wd vehicle and driving up the bumpy mountain road. Putting a little more effort into your elopement location will never let you down, and usually, you’ll be able to find a view that’s even more incredible! Another way of getting off the beaten path is to travel somewhere that’s not on many travel radars. This is exactly what Brittany and Justin did when they chose to elope in the Faroe Islands. By choosing to visit a location that is already much quieter to begin with, you’ll have a much easier time avoiding other people! Often, our couples will like the views of a busy location, but want something a bit more private. We do a lot of in-person as well as online scouting to help our couples find a location that fits their vision, but will give them more space to truly experience their elopement day. Our favorite suggestions for these off the beaten path locations are the San Juans in Colorado, the mountains and rainforests of Tasmania, Glacier National Park in Montana, North Cascades National Park in Washington, or Lofoten in Norway. But we’ve got many many more hidden gems where those came from! The further you are willing to get from trailheads and easily accessible overlooks, the more space you will have to yourself. Often some of the best views can be found on hiking trails. A huge part of our location scouting is looking for trails to hike with our couples. Hiking not only makes a unique elopement day experience, but is a great way to get away from parking lots and noisy roads and immerse yourself in nature. And don’t worry, you don’t have to hike 10 miles up a fourteener on your wedding day to do this! We will be sure to help you choose a hike that fits your vision as well as your skill level. We don’t expect you to be able to follow all of these tips. But considering even just a couple of them in your planning will help give you privacy and the ability to truly soak your elopement day in.